There are many islands on the River Thames, some containing luxurious waterside homes, some mere mounds of mud and sand that have the odd tree clinging precariously to life on their edges and some providing bases for water-related industries like boat-building. Most of those islands have been formed naturally thanks to the action of the water’s erosion over hundreds of years but one – Desborough Island between Walton Bridge and Shepperton Lock – definitely owes its existence to the hand of man. From the air the island, which covers some 111 acres, resembles a huge and slightly lop-sided letter ‘m’ thanks to the original meandering course of the Thames as it winds its way past Shepperton. The reason it became an island was down to the man after whom it was named – Lord Desborough, who was chairman of the Thames Conservancy during the 1920s and 30s. 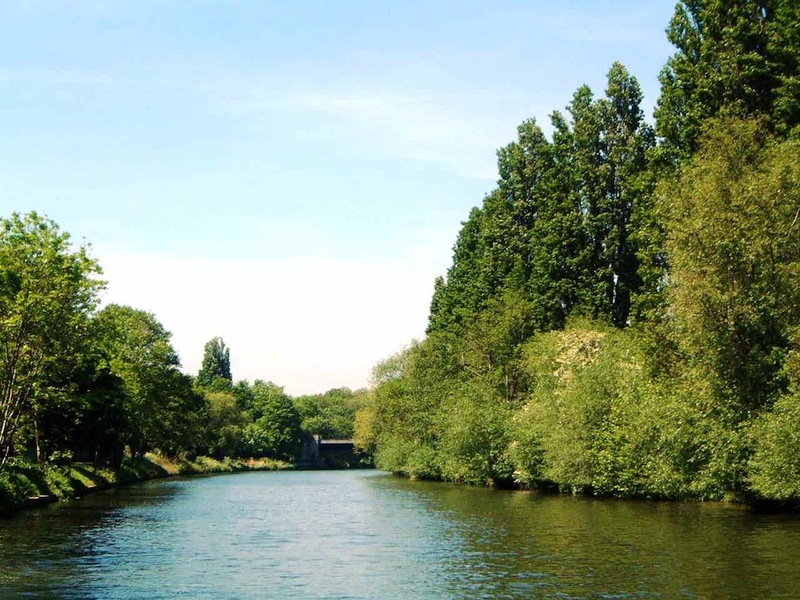 Previously William Henry Grenfell, Lord Desborough of Taplow was renowned for his sporting prowess as a punter, oarsman and swimmer and the Thames Conservancy’s decision to appoint him as its chair proved to be a wise decision for he loved the river and everything about it. 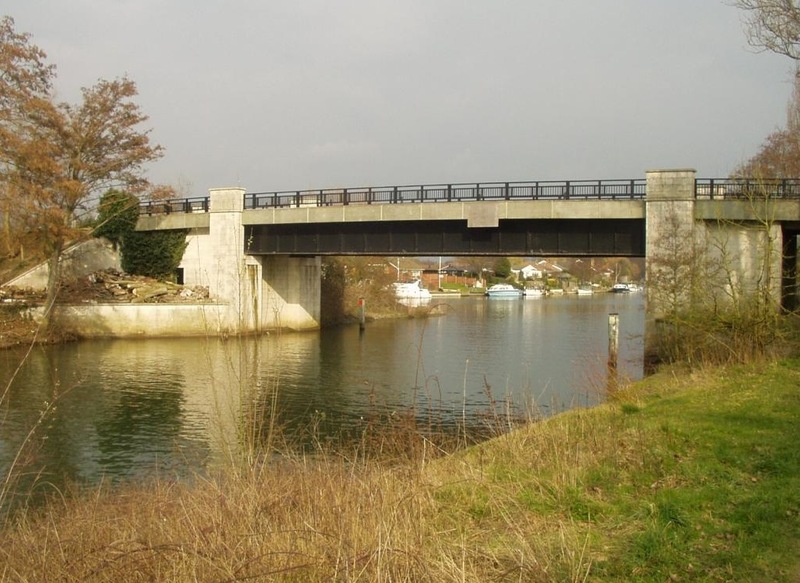 It was under his jurisdiction that the Conservancy decided, during the 1930s, to cut a flood relief channel to prevent inundations of Shepperton and its surrounds. And it was natural that both the Cut and the island that it created in the Thames should both bear Desborough’s name. For boat skippers in a tearing hurry to travel from Shepperton to Walton and beyond (why would anyone be in a tearing hurry on a boat passing through our lovely part of the river?) the Desborough Cut reduces the distance from two miles to about three quarters of a mile. And the Cut is certainly a hit with anglers who can be seen lining its banks on most days during the fishing season. But the island itself remains something of an enigma to many people who know little about what it contains. The answer is that it houses Walton water treatment works, owned by the North Surrey Water Company, 35 acres of public open space (much loved by dog walkers and those who simply like to take a stroll beside the river), the home of the University Vandals Rugby Club and also of the Weybridge Rifle and Pistol Club, one of the oldest shooting clubs in the United Kingdom. The rifle club has an excellent clubhouse and both indoor and outdoor ranges for those interested in taking up the sport. Reached via one of two bridges connected to the Surrey bank, Desborough Island is well worth a visit if you haven’t ventured over there before.